Don’t be fooled by this button-nosed cat, Neko is up for all adventures! He enjoys looking out the window and trying to get everyone to notice him. He’s a bit scared to be picked up and held. He will sit on the floor and flip over to have his belly rubbed and is the first to jump on your lap! 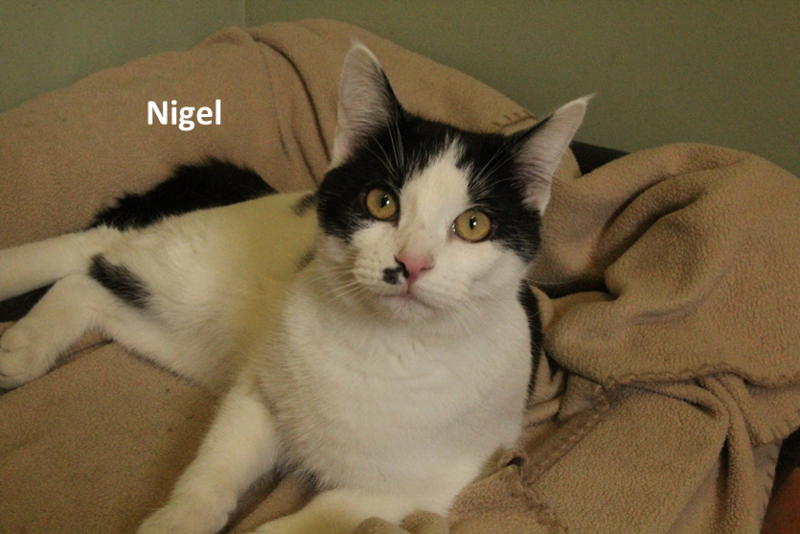 Nigel loves to play and purr. He enjoys chasing pretend mice. He’s not a big fan of being held and picked up but loves his chin and ears scratched and would be a great lap cat after his playtime is over. Neko and Nigel are brothers and very bonded with each other. Neko is black with some white features and Nigel is white with some black features. Nigel and Neko spend a lot of time with each other and cuddle with each other when sleeping. 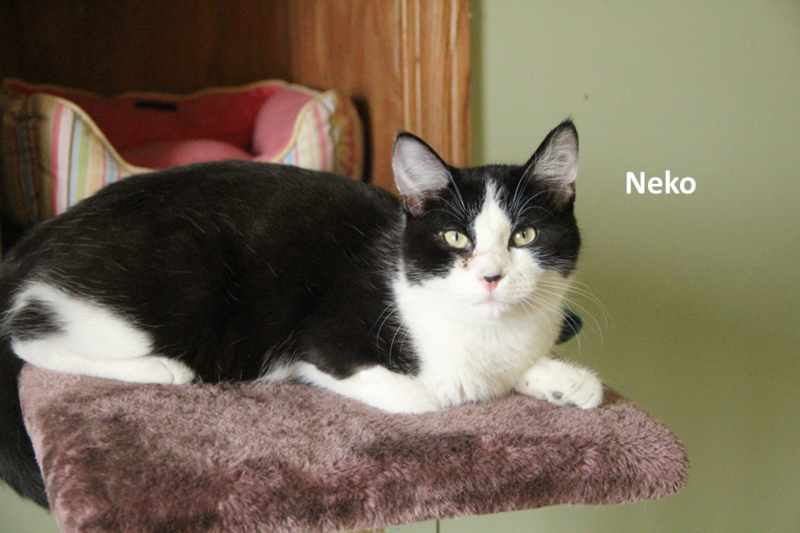 They are both very affectionate cats and will make great additions to your family! 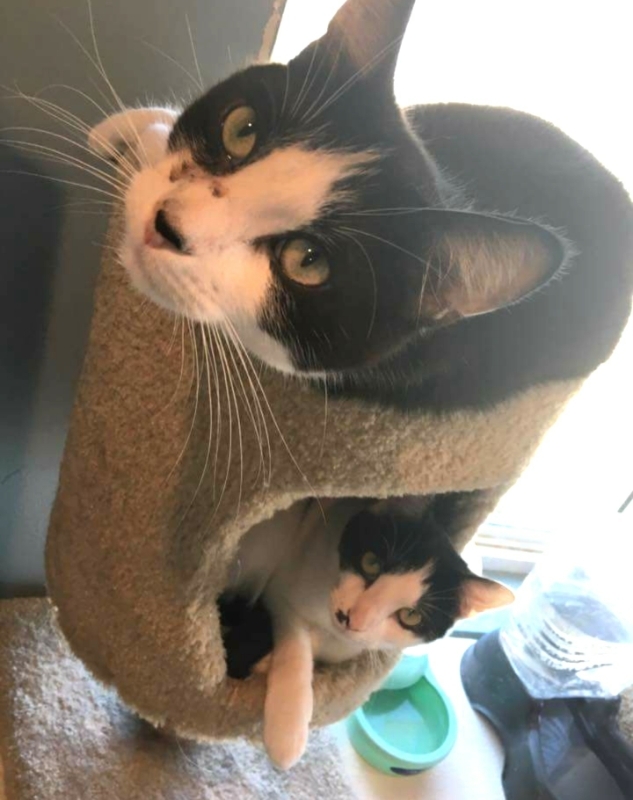 We would like to see these two go to their forever home together. If you’re interested in this great pair of boys, please complete an application HERE or email adoptions@adopthope.org.